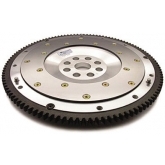 A new flywheel is always highly recommended whenever you replace your clutch especially in high performance and racing applications where the factory cast flywheel can be prone to breaking apart from high rpm, high horsepower use. 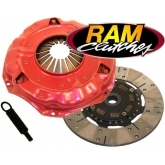 RAM clutch flywheels are available in billet steel or lightweight aluminum to satisfy all needs. RAM billet steel SFI approved flywheels are surface ground for a perfectly flat mating surface insuring smooth operation. 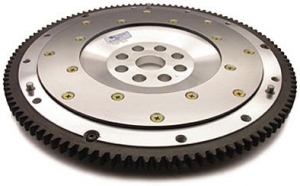 RAM billet aluminum SFI approved flywheels will greatly reduce rotating mass over the factory cast flywheel allowing quicker revving and improved acceleration. 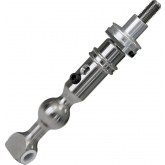 Aluminum flywheels are CNC machined and feature a durable steel friction surface insert.